When Milltown-Listry Comhaltas hosted their first County Fleadh Cheoil in Milltown in 1998, a live open-air performance by trad supremos Stockton’s Wing was the undoubted highlight. Now, 20 years later, they return to the Fleadh in Milltown with a special open-air concert on the Gig Rig on Saturday, 23 June at 9.00pm. 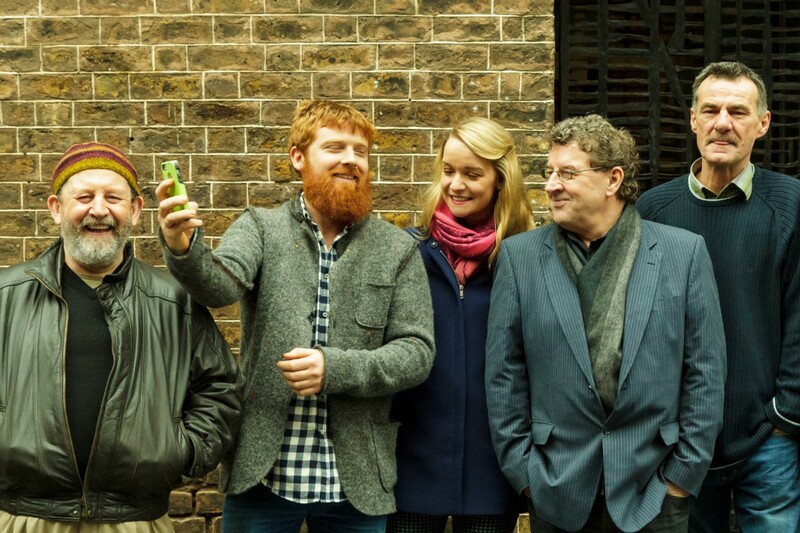 The six-strong line-up for the concert performance includes Mike Hanrahan (vocals and guitar), Paul Roche (flute and tin whistle), Tommy Hayes (percussion, bodhrán, spoons), Tara Breen (fiddle), Paul McSherry (guitar) and Karol Lynch (banjo and mandolin). Following the critical success of their reunion tour to celebrate 40 years of Stocktons Wing in 2017 the band are continuing to wow audiences. A new song written by Mike Hanrahan ‘We had it all’ was released in May 2018, the first Stockton’s Wing release for many years and plans are in place to record a new CD before the end of the year. ‘To be hosting such an internationally renowned group as this is a great coup for the Fleadh,’ said festival chairman, Owen O’Shea. ‘We had the honour of introducing Stockton’s Wing to the stage way back in 1998 and to have them back 20 years on makes it a very special anniversary milestone for the Fleadh in Milltown and the band itself. ‘We decided to have the performance on the Gig Rig in the Square and free of charge to bring the very special Stockton’s Wing experience to the masses. This has been thanks to the very warm generosity of the local business community and sponsors from further afield who have made this wonderful concert possible,’ said Owen. Stockton’s Wing began their career in Ennis sometime in 1977 with Kieran Hanrahan on banjo, mandolin and harmonica, Paul Roche on Flute and whistle, Maurice Lennon on fiddle, Tommy Hayes on bodhrán, spoons and bones and Tony Callinan on guitar and vocals. The name Stockton’s Wing came from a Bruce Springsteen song, ‘Backstreets’ from the album ‘Born to Run’: ‘Slow dancing on a moonlit street at Stockton’s Wing, where desperate lovers park to meet the last of the Duke Street Kings.’ The group’s hit, Beautiful Affair was voted into the top 75 songs in the history of RTÉ radio, and Today FM voted the song no. 7 in a top 20 all time poll of Irish songs. 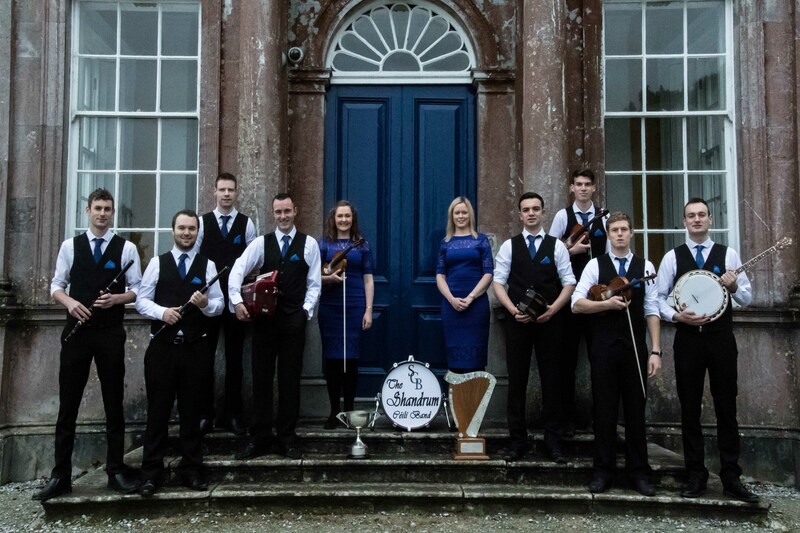 Triple All-Ireland winning céilí band champions, the Shandrum Céilí Band have been announced as one of the major acts for this year’s Fleadh Cheoil Chiarraí which takes in Milltown on the third weekend of June. As preparations for the traditional music festival intensify, organisers have announced that the hugely popular group will perform open-air on the Gig Rig at the Fleadh on Friday, 22nd June at 9pm. The event is supported by Kerry County Council and by Chapter 23 League of Credit Unions as well as local businesses and sponsors.